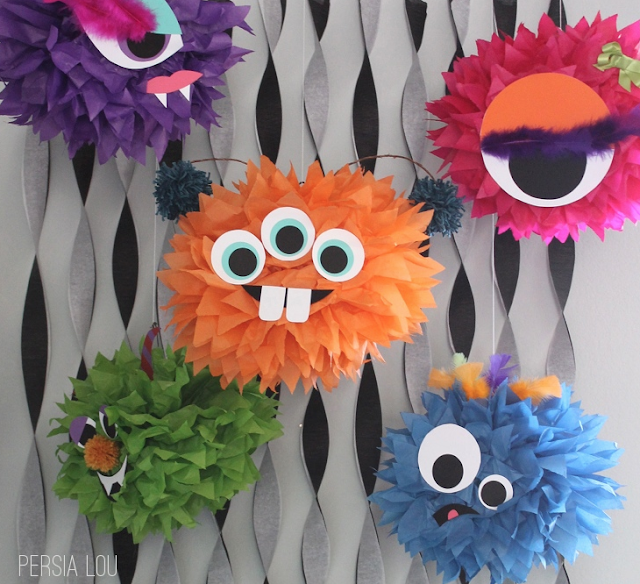 These cute tissue pom pom monsters are making my kick my self for not throwing Owen a monster themed party. I guess there is always next year. Maybe he will need a half birthday party after all! In the right colors, these cute monsters would work for Halloween decorations too! You can check out how to make tissue paper monster decorations over at Persia Lou.